IDEAL FOR DAM OR BRIDGE CONSTRUCTION. 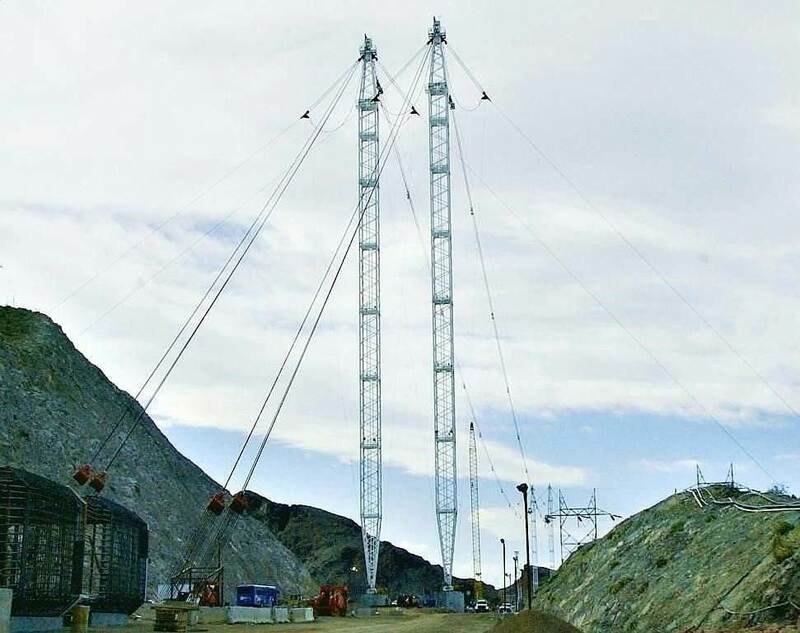 Cable Crane System consists of Four 335FT Towers. Two Towers per side Span:1500+ Feet. Capacity:50 Tons. Luffing Range:30 Degrees. The tower height and span can be modified for your next project's needs. Full specifications and info is available.